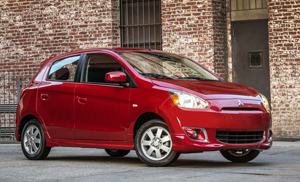 Like the hottest concert tickets, newest smart phones or must-have video games, Canada’s newest subcompact car – the 2014 Mitsubishi Mirage – will be offered in advance of its October arrival. Starting price is $12,498. 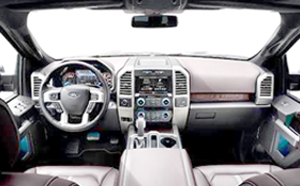 In a unique twist, the automaker offered a pre-sale rebate where customers making a $500 deposit prior to September 3 would guarantee early delivery and add a $500 pre-sale rebate. The first vessel containing Mitsubishi’s all-new three-cylinder, five-door hatchback has set sail to Canada with over 800 Mirages. Those who want a first crack at Canada’s most fuel efficient, best-backed and among lowest-priced subcompacts will get bragging rights, and a new car starting at only $12,498 for Mirage ES with five-speed manual transmission. Mirage’s highway fuel economy rating is 4.4L/100 km (64 mpg), 4.9L/100 km (58 mpg) in combined city/highway driving and 5.3L/100 km (53 mpg) in the city for CVT-equipped models. Five-speed, manual transmission models are rated at 5.3L/100 km (53 mpg) in combined driving, 4.6L/100 km (61 mpg) highway and 5.9L/100 km (48 mpg) in city driving. The three-cylinder Mirage will be the fifth model in Mitsubishi’s line-up, and caps a year of product growth for Canada’s smallest car company following the June arrival of the new 2014 Outlander compact sport utility.